Missing your Skype today? Try Voxox! As many of you may have heard, or unfortunately may have experienced, Skype has been down since yesterday. We can't imagine how frustrating it must be to not be able to communicate with your Skype contacts, especially during the holidays! So we thought we would take this opportunity to remind you of how Voxox can serve as your backup for your Skype communications when technical difficulties arise. So you are never without your conversations. Today it was Skype. 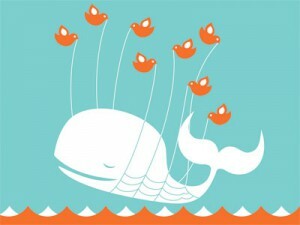 Tomorrow it could be Twitter's fail whale that keeps you from your friends and family. How can you stay connected no matter what happens with these different and separate communication channels? At the risk of tooting our own horn too loudly, we want to make sure you know that Voxox can help you! Voxox enables you to unify all of your conversations across Facebook, Twitter, Skype, AIM, MSN and more in one place. So if any of the major networks are experiencing issues, you can still access your contacts. And even better than that, you can contact them in any number of ways: from calling to texting to sending faxes and more. How has Voxox helped unify your contacts and conversations? We want to hear from you! Don't have Voxox yet? Get the beta version today. Why not invite your Skype contacts to get Voxox too, and you can talk for free!